Choosing gifts for others can sometimes be a headache. Traditional flower bouquets can be a thoughtful idea, but gender stereotyping associated with this means that women receive more flowers than men. Fortunately, bouquets have taken on a whole new meaning with the increased availability of different types of edible alternatives. The variety available can make gift giving much easier. 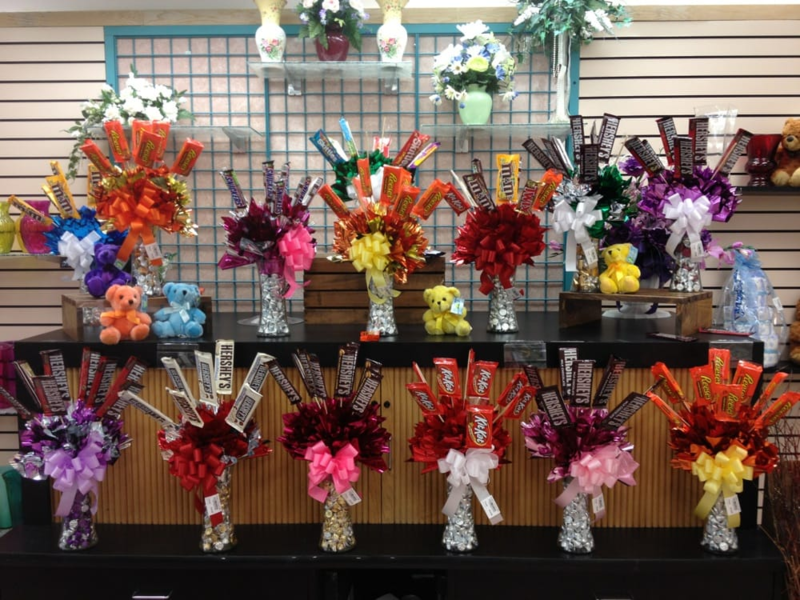 Cookie and candy bouquets look like flower arrangements but can be filled with the recipient’s favorite type of sweets. Famous brand-name chocolate and cookies, lollipops, and other sugar confections make the displays as colorful as flowers. Recipients can take their sweet time eating their way through the present. Also, single-color arrangements can be created for special holidays. As an example, candies with red packaging make an ideal bouquet for Valentine’s Day. An orange theme can be used for Halloween. If a bouquet seems small, or if you are looking for a gift for a group or family, then another good option is a gift basket because the larger size can hold more. You can choose a theme, such as “Get Well” or “Movie Night,” and add larger, non-edible items to match. For example, decorative tins or ceramic mugs can be added to complete the package. One of the great things about a bouquet or basket is the ease of availability. Some people are prone to procrastination; others may find out about a party or special event at the last minute. This type of gift can be easily obtained in many parts of the country or sent to a distant recipient with the click of a few buttons. Plus, product variety can be essential if you aren’t sure of the recipient’s likes and dislikes. Birthdays, holidays, and other special occasions are a great time to let people know that you are thinking about them. Bouquets and baskets are small gifts that can be easily ordered and delivered without much hassle on your part.